Lot Detail - Big Show Entrance Sideshow Banner. 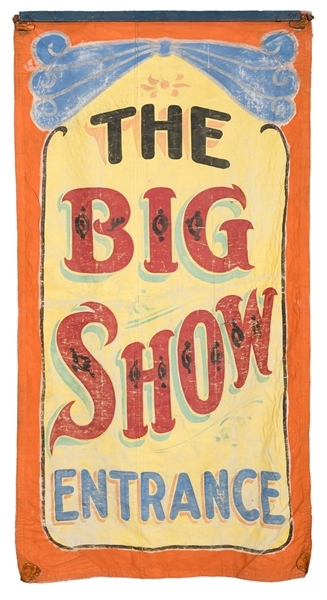 Big Show Entrance Sideshow Banner. Big Show Entrance Sideshow Banner. Circa 1930. Bright hues on thick canvas, upper wooden batten present. 91 x 47 ½”. Holes, wear, and soiling as expected.